Veteran Choreographer Saroj Khan says casting couch provides livelihood, is a girl’s choice. 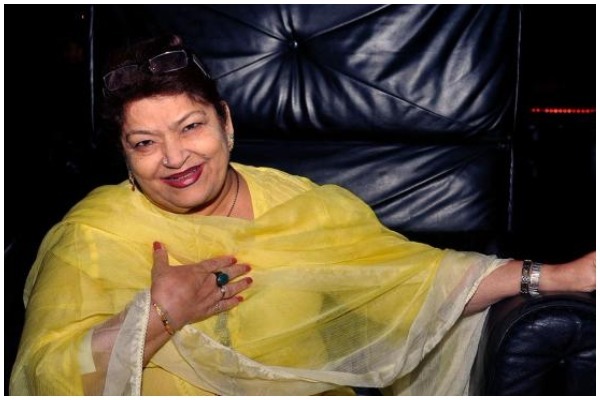 Legendary Indian choreographer Saroj Khan, recently in an interview, justified the phenomenon of casting couch in the film industry and sparked an outrage on social media. She jumped to the defense saying that casting couch has existed in the industry since a very long time and that it provides a livelihood to those who come to Mumbai to fulfill their dreams. She also counter-questioned that when the phenomenon exists in the government too, then why is everyone after the film industry? The veteran choreographer issued such a statement after Telugu actress Sri Reddy went semi-naked on the streets of Hyderabad protesting the fact. Saroj Khan’s statement has come under fire and along with commoners, Bollywood celebrities too are reeling under its shock. Though Khan has apologized for the same, a lot of celebrities have come forward to defend her, while others chose to keep mum. Actress Richa Chadda, who was recently seen in ‘Fukrey Returns’, posted a series of messages on her Twitter account defending Saroj Khan, stating that she was misquoted and that people are blowing it out of proportion. Wasn't she the one to level allegations on some mystery man for casting couch when her movie Fukrey's sequel was coming up? Welcome to Bollywood. PR stunts! BOLLYWOOD. The most hypocrite industry. Yesteryear’s actor-turned-politician Shatrughan Sinha sided with Saroj Khan saying that she isn’t wrong when she comes out with such a statement and that she must’ve gone through the same situation, which gives her the authority to speak up in such a way. Singer-actress Sophie Choudry voiced her opinion on her micro-blogging site and criticized Saroj Khan for being so ignorant. She also said that her heart goes out to the girls, who are victims of casting couch and that the practice needs to be stopped. Anchor Mini Mathur slammed the ace dance master and said that giving out such a statement was totally irresponsible. While loads of celebrities stood by Masterji, as Saroj Khan is affectionately known in the industry, Sonam Kapoor and Swara Bhaskar eluded the question at the recent trailer launch of their upcoming film ‘Veere Di Wedding’.